I keep defaulting to three stars a lot lately, don’t I? It’s because I have mixed feelings. The performers are game, but the stories are lame. Nothing’s really been working since Tessa and Silas met their makers, which is pretty bad. Well, Nadia was good, but she brought a whole Traveler brood, and they’re all faceless non-starters. Just when Paul Wesley was having fun playing all of the Stefan Doppelgangers, that story ended and the focus shifted to Damon and Katherine. Only, with nothing new for them to do, the focus didn’t have that much to see. Damon’s dark past as a torture victim of and eventually serial killer to the family of the Augustine Vampire project was a big old bust. 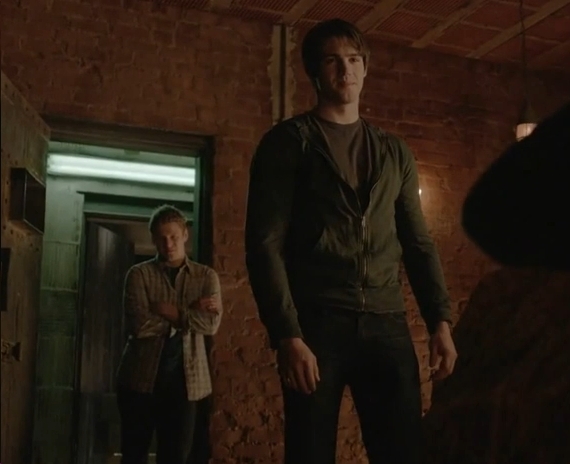 It left us with Enzo and vampires who feed on other vamps, but who cares about either? Vampires need humans as prey, and Enzo needs a reason to live other than goading Damon on to his worst behavior. Remember when this was going to be Elena, Caroline and Bonnie’s year in college? Every interaction with Whitmore the girls have had has damaged it in some way. What’s been okay? 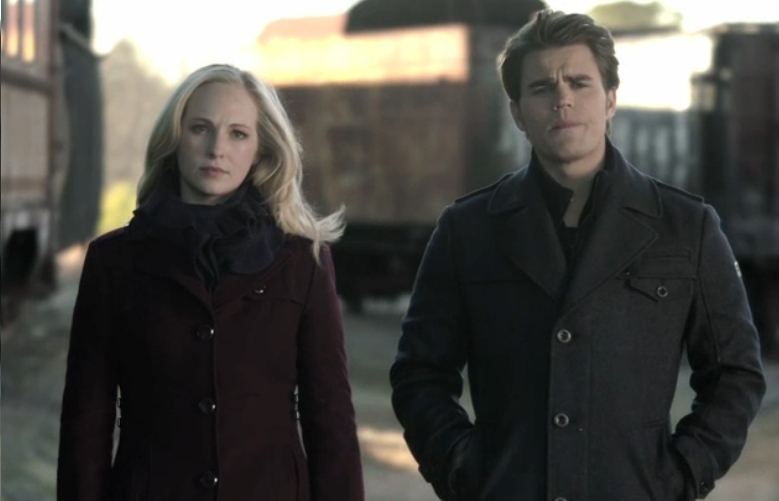 Stefan and Caroline bonding. Tyler’s return (hey, I like Tyler!). Bonnie not being a witch undoes like half of all future plots on this show, which is why they’re channeling her into new character sneaky Liv and her gay brother Luke. Which, fine, some more pesky Little Bads (and at least they aren’t travelers), but you better actually have something in mind for these two, show. It’s really evident when meanwhile the Originals has a million irons in the fire, and they’re all pretty hot that the excitement is over in New Orleans right now. Yes, Elena’s weird hallucinations in her illness that circle around how she must have felt while Katherine possessed her body are very suggestive, but the most effective involve Aaron’s ghost, whom you only hoped was real, because there was no way killing that character was good for the show. He was still in the introduction stage, then sacrificed to a cheap beat in Damon’s (temporary) descent. If you haven’t realized Ian Somerhalder is much more about redemption than depravity, writers, then there’s no hope for you. Just look at those wounded doe eyes whenever Elena looks at him askance. Nina Dobrev is also doing her best with this material; her disgust at Katherine’s cruel entries in her stolen diary is palpable, but you still have her threaten and endanger human life to get her way. Does that mean she would have killed Aaron too, given the chance? Which is her worst fear in her dementia? You can’t really have it both ways. So, the new Stefan doppelganger in Atlanta might be a step in the right direction. You can’t be serious that Caroline is just going to kill him at the gypsies’ bidding though, can you? Why make him an EMT if that’s his destiny? Just to make her more and more corrupt? Holy S#!t! The Jupiter Ascending Trailer Is Here!